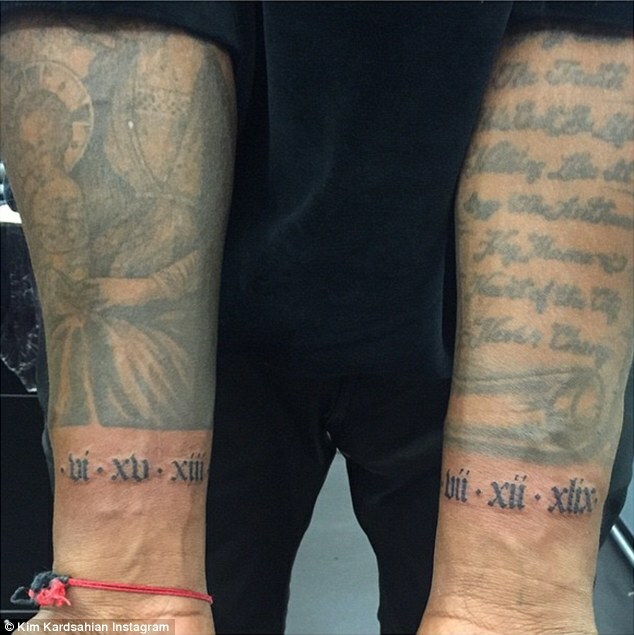 Kanye West has added to his tattoo collection with tributes to his daughter and late mother. 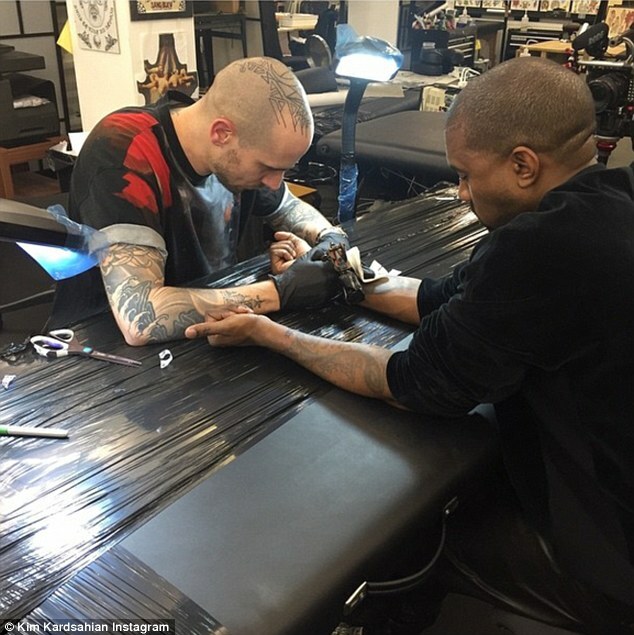 Kanye got North and Donda West's birth dates inked onto each wrist in roman numerals during a 4am visit to London tattoo parlour Sang Bleu. Kanye was joined by wife Kim Kardashian, who shared photos of her husband's latest body art on her Twitter and Instagram pages. The reality star revealed that Kanye had originally planned on getting the inking on his face, sharing a photo of the initial sketch that was done. 'I talked him out of getting a face tattoo....for now,' the 34-year-old revealed. North, who was born on June 15, 2013, is Kim and Kanye's only child together. The Yeezus star's mother Donda died in 2007 of complications during plastic surgery. Her birth date is July 12, 1949.